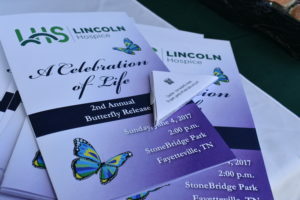 Lincoln Health System and Lincoln Hospice hosted the second annual Celebration of Life Butterfly Release on June 4th, 2017 at Stone Bridge Park. 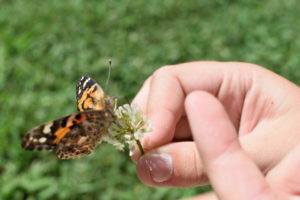 Last year, Lincoln Hospice hosted the 1st Butterfly Release as both a memorial to their patients and as a community event to raise awareness for Hospice and its services. Due to the amazing response in 2016, Lincoln Hospice decided to expand the event to help raise funds to support their program. 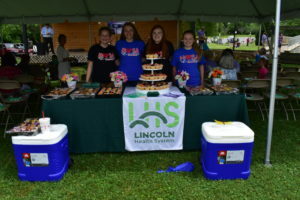 Lincoln Hospice is a non-profit organization that provides care for more than 125 hospice patients each year providing vital end of life care as well as support for families and caregivers. Although Medicare and other insurance benefits pay for hospice care, some supplies and medications costs exceed those payments. The bereavement program, which provides support to families for a year after the death of a patient, is not included in any insurance reimbursement. Lincoln Hospice also provides care to all hospice eligible patients regardless of their ability to pay. 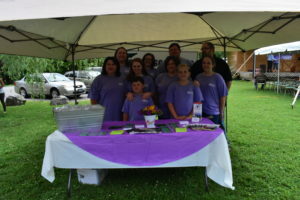 The use of volunteers along with generous donations, helps to offset the costs of providing this care along with supporting the bereavement program and community outreach and education. 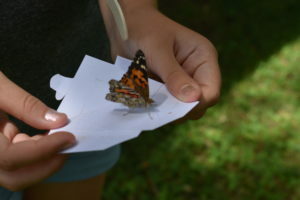 Despite the gloomy forecast, this year’s event celebrated the lives of more than 200 people with the release of beautiful butterflies. Lincoln Hospice’s Chaplain, Harold Dawkins gave the invocation and Josh Ogle provided beautiful music for the event. 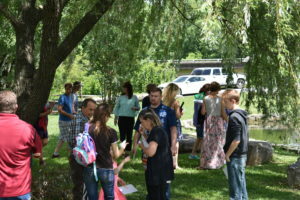 As the names of those who have past were read, families released their butterflies into the the sunny sky. Lincoln Hospice is thankful for the support of this community. 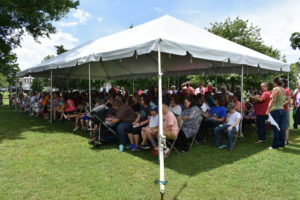 They would also like to thank Tennessee Brace and Medical Services, Higgins Funeral Home, Gallant Funeral Home, and Carter’s Pharmacy for sponsoring the event as well as Holley’s Printing for donating the event programs. For more information on hospice, the services they provide, or becoming a hospice volunteer, please call 9631-433-8088.